Nothing this year compared with the incontestable greatness of time spent in Europe this summer attending the Okwui Enwezor curated “All the World’s Futures” and the Venice Biennale. Adrian Searle offering an encompassing overview in the pages of The Guardian, "Venice Biennale: The World is More than Enough", going on to include the city-wide exhibition in his Best Art Shows of 2015. With Artforum's selections touching on the critically hailed pavilion by Joan Jonas: "They Come to Us Without a Word". Returning from travel abroad it was a great relief to find engaging festivals and exhibitions domestically. The inaugural Paul Allen funded Seattle Art Fair, which taken with the collateral "Out of Sight" exhibition proved to be significantly more than a wealthy man's vanity project. Particularly for it's inclusion of the "Thinking Currents" wing with galleries and media work from the Pacific Rim. Reflecting the changing economic and cultural landscape of Seattle, two regional festivals with an international scope had closing and transitional years in 2015. Neoclassical, ambient and electronic music from around the globe gathered under the vaulted ceilings of the Chapel Performance Space for the final Northwest edition of Rafael Anton Irisarri's Substrata Festival. And in an open letter Decibel Festival's 13th year closed with programming director Sean Horton's farewell to the city. But not before Autechre could deliver their three dimensional, hallucinogenic sonic sculptures in a sold-out festival setting as part of Decibel's Resident Advisor Showcase. The epitome of what's come to be known as the New Music movement largely centered around late 20th and 21st Century American composers, Bang on a Can have "A Quarter-Century Of Banging, and are Still as Fresh as Ever" when they came to Seattle's Moore Theater for this year's iteration of their daylong marathon performance, including the quietly groundbreaking "Music for Airports" by Brian Eno and Steve Reich's landmark "Music for 18 Musicians". If you live on the west coast, this past year offered the possibly once-in-a-lifetime touring retrospective of Hou Hsiao-Hsien's entire oeuvre. Screened in weeks-long series at Berkeley's Pacific Film Archive, UCLA's Billy Wilder Theater and without such prestigious academic support, The Grand Illusion Cinema and Scarecrow Video combined forces with Northwest Film Forum here in Seattle to present three weeks of, "Also Like Life: The Films of Hou Hsiao-Hsien". As appraisals of the significance of his contribution to late 20th Century cinema, polls conducted by Film Comment and The Village Voice named Hou director of the decade, and in the overlapping 1998 worldwide critics' poll he was cited as one of three directors "most crucial to the future of cinema". Yet it's the Museum of the Moving Image, "Hou Hsiao-Hsien: In Search of Lost Time" and their symposium introduction that still stands as the most succinct tacking of the paradox of this revered, yet rarely seen director. For global cinema the digital age is still proving to be a narrow impasse rather than the promised plateau of abundance, which many are learning to navigate. Particularly evident in the world of film distribution, though footing has been found on some of the growing independent streaming platforms. Award winning films from festivals in New York, Berlin, Vienna, Venice, Hong Kong, Seoul, Cannes, Paris, London, Toronto and Cannes topping both Film Comment and the British Film Institute's Sight & Sound annual overviews have yet to screen in the United States, or even show up released digitally online. So count yourself fortunate that you live in a international city if you do, as more and more of the world's greatest film aren't to be found for purchase, rent, streaming or even download (legal or otherwise). This year's Seattle International Film Festival hosted a less than memorable selection, many calling it the the weakest seen in nearly a decade, which was particularly disheartening after the strong year that was the festival's 40th Anniversary. Their year-round programming at SIFF Cinema compensating for the oversights of the festival, bringing advance screenings, rare prints and numerous exclusive screenings to their three cinemas including the Film Center and recently restored Egyptian Theatre. Their second-run Recent Raves series being the best thing SIFF had going until it's suspension at the end of this year. Here's hoping for it's return in 2016. With indie cinemas closing around the nation, it was that much more important to support the local theater opportunities such as the fast-shrinking and now halved Landmark Theatres, Northwest Film Forum, and what's fast become the greatest programming seen on a screen in Seattle, The Grand Illusion Cinema stepping up to fill the void after strengthening their nonprofit partnership with Scarecrow Video. Many of the best films seen this year, when they did come to the theater, had runs that lasted no more than a week. Others were never to appear again outside of an initial festival screening. Again proving the wisdom of getting out there, seeing the city and prioritizing the remaining opportunities that we're fortunate to have in our urban crossroads. Even so, no mall percentage of these films even avid theater-goers living in urban centers didn't get to see. Making a resource like Scarecrow Video, this year's Stranger Genius Award-winner, that much more irreplaceable. One can't imagine in the age of digital piracy that this process has aided the films in finding their audience. More worrying, the lack of genuine cinema available on the dominant streaming resources, particularly with Netflix phasing out the diversity offered in their physical media. Resources like Fandor and Mubi are fast becoming the almost singular streaming platforms through which (paying) online viewers have access to the true scope of the past twelve decades of moving pictures. Particularly with both being avidly involved in the festival dialog, with curation and criticism offered throughout the year in their respective digital magazines, Notebook and Keyframe. As much as it was a strong year for contemporary cinema, some of the real revelations came from decades past. The highest concentration of which was seen delivered by the work of institutions like Criterion Collection, Masters of Cinema and Kino Lorber, who continue to fund the restoration and rerelease of some of the past century's greatest film. Two of the rarest works of the whole of the French New Wave saw brief theatrical runs and new restorations this year. With the passing of the New Wave's technician of time and space, Alain Resnais in 2014, Kino released a restored edition of his late-period masterpiece for the first time to wider audiences. Rarely screened upon it's release in 1968, "Je T'aime, Je T'aime" watches as an reflective science fiction, a descent into the hall of mirrors that is "Fragmented Frames of the Love That Was, Taunting Yet Poignant". Through the director's puzzlework abstraction of remembrance, perception and hope, it emerges as a paradoxical rush of simplicity and grandeur. Even more profound in it's scarcity, this past November saw the premier of a new restoration of "Jacques Rivette’s 1971 Film, ‘Out 1: Noli Me Tangere’" as part of BAMcinématek's two-week engagement. A major city theatrical run, including a week at SIFF Cinema followed and for the first time a release for home viewing will be made available by Kino later this month. The Guardian's review, "Out 1: Noli Me Tangere: 13-Hour Art Film is a 'Buff's Ultimate Challenge" not only noting the film's scarcity, but the challenges of it's duration and narrative experimentation. This nearly 13-hour work has stood for decades as a kind of filmic holy grail. A cinematic soak both sprawling and intimate, which has been almost impossible to view in the more than 40 years since its release in 1971. In testing the porousness of the border between narrative and experimental film, Rivette’s monstrous cinema experiment delivers an experience that is satisfying in-part for precisely the reason it is exhausting. Criterion Collection's vision continues to be enriched by masterpieces of decades past, this year seeing long overdue restorations of the work of the oddball of Italian Neorealism, Vittorio De Sica and Edward Yang, the auteur without whom there would be no Taiwanese New Wave. Plumbing the depths of genre cinema and the transgressive, they released beautiful restorations of Masaki Kobayashi's "Kwaidan" technicolor adaptation of Lafcadio Hearn’s collection of Japanese folklore and Yokia tales, Nicolas Roeg's inexplicable, disturbed spin on a story by Daphne du Maurier, "Don't Look Now", and one of the most profound and unsettling loves ever dedicated to film, Liliana Cavani's "The Night Porter". Masters of Cinema made the complete oeuvre of Japan's great chronicler of society's underside widely available in stunning blu-ray box set restorations, 40 years of his challenge to society is contained in their Shohei Imamura Masterpiece Collection. Digging deeper into the underbelly of Japanese post-War pop culture, the UK's great new genre imprint, Arrow Films have released a equally decades-spanning career of the frenetic madman of Yakuza dramas, Kinji Fukasaku. His "Battles Without Honor and Humanity" makes for a edgy, rough and tumble contrast to Arrow's concurrently released, "Kiju Yoshida: Love + Anarchism". The set clearly positioning Yoshida as a less consistent, yet more eccentric risk-taking contemporary of late Japanese New Wave luminaries like Nagisa Oshima and Masahiro Shinoda. Incontrovertible masterpieces also made up some of this year's Criterion catalog, Yasujiro Ozu's late-period meditation on passing generations, "An Autumn Afternoon" finally saw a blu-ray release after being available on other formats for some time. And no discussion of international cinema dealing with familial relations and mortality would be complete without Satyajit Ray's "The Apu Trilogy". Restored to luminous glory after one of the most painstaking and elaborate reconstruction processes of this century, Ray's film of rural childhood transitioning to urban adulthood, in some ways mirrors the circuitous journey of the film's return to the screen, "Back on the Little Road: Satyajit Ray’s Pather Panchali Returns in All its Glory". Not only a tale of generations within a Bengali family, "Pather Panchali" is a film of countless cultural details, especially in Ray’s often exacting production design and profuse textual quotation, qualities often lost on most Western viewers. Particularly representative in it's second installment "Aparajito", the domestic dramas that dominate his filmography are rooted in the specific struggles of the middle class at various stages in post-Independence India’s development. In his depiction of India's then developing middle class, Ray is "Master of the House: A Giant of World Cinema’s Golden Age, Satyajit Ray Held a Mirror to Bengal’s Middle Class". His portrayal of life in this developing social structure often clashes with practical realities, and Ray is invested in observing the tensions caused by their ideals, the pleasures they afford and the consequences of an upwardly mobile youth on the traditional family. "Satyajit Ray: A Moral Attitude" is best described in the words of the director himself, compiled from a long series of conversations with his biographer Andrew Robinson in the years before Ray’s death in 1992, as well as an excerpt from a 1968 interview for Film Comment. There were of course major dividends for those taking risks in contemporary cinema as well. For all the talk in recent years of "auteur television" in the United States, exemplary works such as Vince Gilligan's "Breaking Bad" and Nic Pizzolatto's "True Detective" characterize this competent, complex and atmospheric television spanning season-long developmental arcs. My vote goes not to American or British television, but to the French. 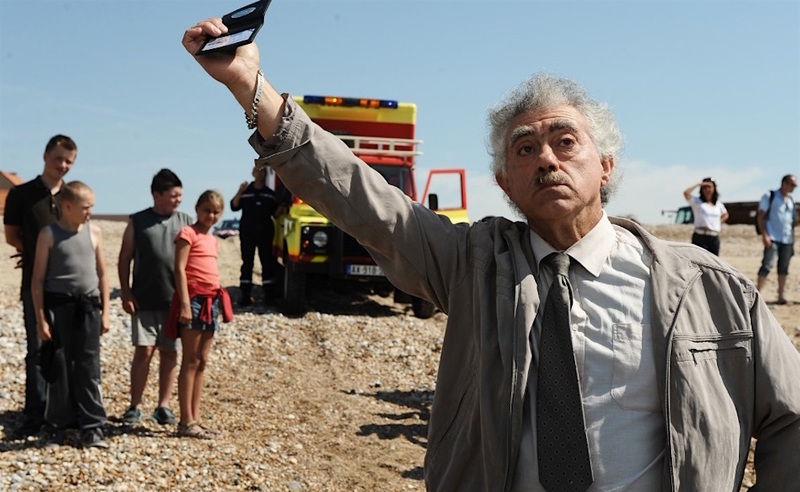 After 2012's austere, quasi-religious drama "Hors Satan", Bruno Dumont has decided to vacate his creative heartland of harsh social realism in favor of a epic farce that (mostly) wears a poker face as it documents his continuing obsession with the collision of humankind’s bestial and spiritual impulses. 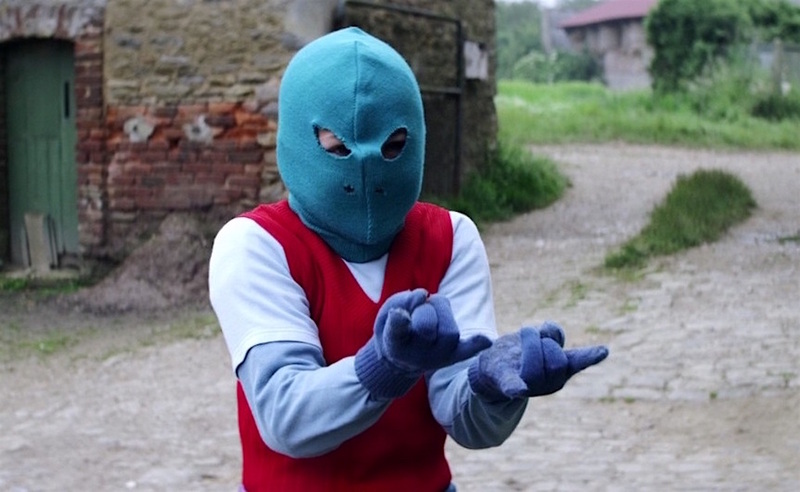 This exquisitely photographed four-part film made for French television, set in a isolated farming community near Calais in northwestern France, is populated by a cast of predominantly nonprofessional actors portraying rural eccentrics and down-home locals. "Li'l Quinquin"'s central figures are a nonsequitur Clouseau-like police captain, Van der Weyden (known as "The Fog" within his department for his impenetrable, incongruous techniques) who, along with his assistant Carpentier, set about in this expansive landscape where the countryside meets the sea, riddling out a series of baffling, grotesque, rural murders. 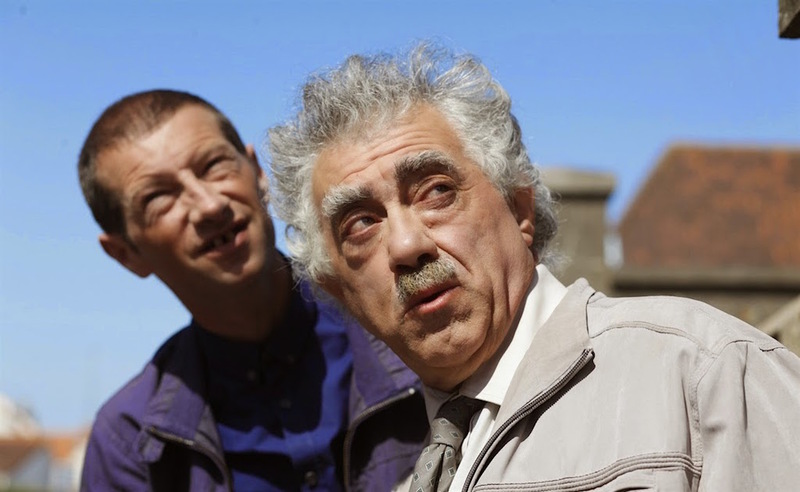 Mubi's "Cracking Up: A Conversation on Bruno Dumont's Li'l Quinquin" positions the viewer very much in the passenger seat with this this duo. Van der Weyden, who trundles around the countryside in his police vehicle, is a classic bumbling cop with bushy eyebrows and a bundle of facial tics pushed to the nth degree. He and Carpentier, with his string-bean body, gaptoothed stare and stunt-driving antics, are foils against the concurrent self-described investigation conducted by pubescent title character Quinquin Lebleu, who roams the area on his bicycle with a group of adolescent friends. Bored, curious, ignorant, racist, insensitive, Quinquin and his bunch are like teenagers anywhere, though this set embodying the current mores and superstitions of contemporary France. At the heart of this "Acid Black Comedy Set in Small-Town France" is the suggestion of the Lebleu family's ugly, conflicted history revolving around the distribution of an inheritance. But there is more to this "Dead Meat" than just a morbid detective comedy in a rural setting. Once Dumont has established these seemingly well-meaning antipodean posses as the anchorage points, he then shifts focus to the pervasive unthinking reflexiveness of their superstition, anti-Arab bigotry and xenophobia. All the while, pulling of a nuanced portrayal enriched by sympathy, fascination and love for it's characters, delivered with humor and sensitivity. In an interview with Film Comment upon it's Cannes screening, Dumont detailed the significance of the quiet comedy at the heart of this series; "The laughter reveals hidden zones of human nature. The capacity to have this explosion, this burst, happening is to me very important, and it reveals zones of falseness, zones of ambiguity." A film that is represented on nearly every major overview of the past year, and finally seeing screenings at SIFF Cinema this month, is Todd Haynes period drama again framed by regular collaborator Edward Lachman. The two bringing life and poetry to their visualization of Patricia Highsmith's drama of forbidden love and gender values in mid-Century America, "The Price of Salt", adapted to the screen as "Carol". Lachman's cinematography as though set not within the period, but instead Douglas Sirk's status-quo challenging melodramas of the era, Haynes has fashioned a restrained, yet "Captivating, Woozily Obsessive Lesbian Romance", that sidesteps the pitfalls of willfully gay cinema. In an interview with Film Comment, the director's depiction of "The Object of Desire", centering around the piece’s most contemporary concerns; sexism and sexuality, situation opposing social norms and his desire to blend these into a more timeless vision of the stifling normalcy of 1950's malaise. In the way of more explicitly referencing cinema of decades past, there was Guy Maddin's kaleidoscopic tribute to the cinematic canon. His and Evan Johnson's delirious hyperfrenetic faux-silent melodrama fever-dream, "The Forbidden Room" watches as a veritable psychedelic trip through the very form of film. Boring wormholes through narratives-within-narratives, in seemingly infinite regress it subsumes form and content from the silent era to early 30s and 40s talkies, to 50s melodrama, to 60s and 70s exotica and beyond. Their approach to both form and technique in their paradoxically original pastiche detailed in Cinema-Scope's "Lost in the Funhouse: A Conversation with Guy Maddin and Evan Johnson". Further quantified in the pages of Film Comment as "too much is just right", Jonathan Romney delves deep into the movie-mad ﬁlmmaker’s latest feat of phantasmagorical cinema, "The Infernal, Ecstatic Desire Machine of Guy Maddin". Utilizing chemical and digital degradation processes along with a twinned auditory effect in Galen Johnson's deeply Hauntological soundtrack constructed from repurposed classical music and incidental film scores. Together the sound and image making for a headily over-brimming, absurd concoction of hallucinogenic digressions and narrative tips of the hat. The most restrained formalism seen on the screen thus year has to be credited to Hou Hsiao-Hsien's at once old-school, free-form, classic and avant-garde adaptation of Pei Xing's Tang Dynasty short story "Nie Yinniang". Though a Wuxia film, it's technical rigor and opacity of storytelling mechanics are the defining characteristics of the "Killer Technique: Hou Hsiao-Hsien's Return in Full Force" that set "The Assassin" apart from everything seen in the decades since the genre came into it's own in the 1960's. More than an assembly of "Long Takes, Fast Edits and a Warrior in the Shadows", Hou's film reads rather not as a short story of novella, but the abstraction and open-ness of poetry on the screen. A stark contrast to the restraint of Hsiao-Hsien's 8 years in-the-making period drama, Miguel Gomes sprawling, outwardly political satire refashioned the "Arabian Nights" folk tales from the Islamic Golden Age into his own take on post-austerity Portugal as, "Volume 1, The Restless One", "Volume 2, The Desolate One", "Volume 3, The Enchanted One". And like Scheherazade, Gomes has pulled out every storytelling trick in the book to span the film's epic 6 hour duration: prologues and epilogues, prolix voiceovers, obtuse framing devices, abundant on-screen titles and nested narratives within narratives. At once fabulous, quotidian and political, "Miguel Gomes Blends Fantasy and Real Life Fluidly in Arabian Nights". Much has already been said about 's Alejandro Iñárritu's dramatization of the life-story of fur trapper Hugh Glass, though few have seen the film. Another of Iñárritu's collaborations with cinematographer Emmanuel Lubezki, together they have realized the scale and splendor of frontier America, a land of endless riches and great danger, "The Revenant Welcomes You to Paradise. Now Prepare to Fall". Described in no small way by it's score from Carsten Nicolai, Bryce Dessner and "Ryuichi Sakamoto Details 'Gigantic' Score to The Revenant". It's a grand experiment with genre by Iñárritu, this time the Western fashioned as "The Revenant" into another advancement in the director's art of "Gut-Churningly Brutal, Beautiful Storytelling". It is this steadfast dedication to realism in his portrayal of human honor and duplicity set against the unsympathetic magnitude of nature that makes Iñárritu's latest stand out from the pack. This almost spiritual concoction comprising Lubezki’s extraordinary cinematography and Iñárritu's commitment to being there in the inhuman expanse of the natural world, expressed in the film’s hesitant regard for the grandeur of true wilderness.